Little girl and her dog near the old Mersey Tunnel entrance during the last Giants tour of Liverpool. 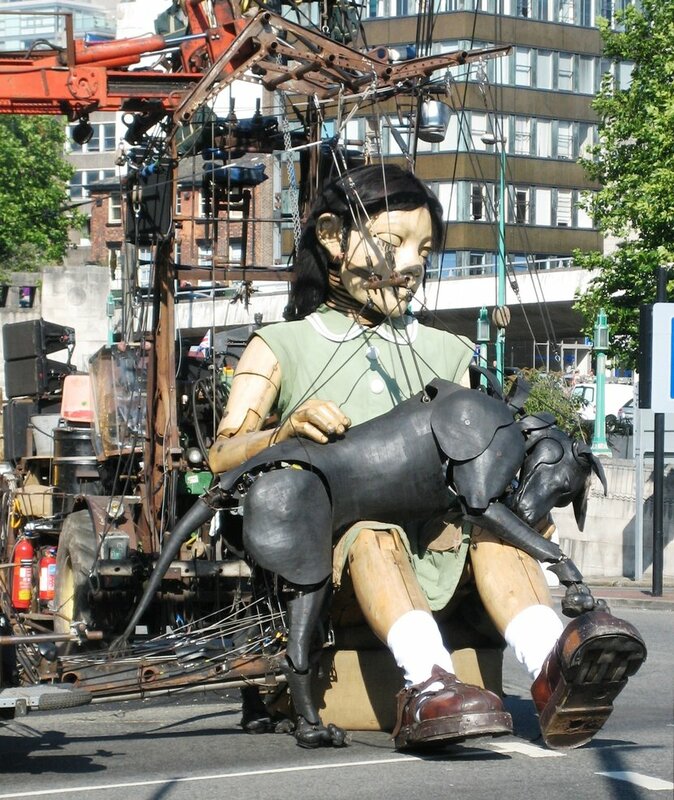 I blogged about this only a few days ago and it seems that public pressure has brought about some concessions regarding the number of Merseyrail Stations that will close during the The Giants Spectacular in Liverpool in a couple of weeks time. 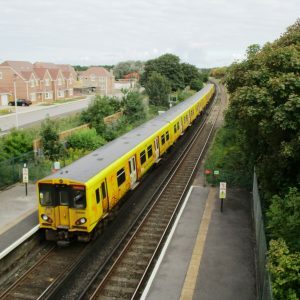 But even with these limited concessions Merseyrail and the powers that be who are organising the event have managed to cheese off a lot of the travelling public by closing stations on the network. With thanks to Keith Page for the lead to this posting. Private car parking charges – Will Government act to bring in some sensible controls? This is a subject I have commented on before and one that quite clearly needs proper Government regulation to stop exploitation. Many car parks owned by supermarkets, shopping centres and retail parks are now outsourced to parking companies who use CCTV to catch out the unwary. But I fear that the process has become one of not only managing car parks but of using them as a cash cow to make as much money as possible. From the land owners perspective the value of all land is there to be exploited to its maximum and that includes the land on which you park your car so unless Government brings in some sensible regulation we can only expect new money making stunts to be thought of virtually anywhere we park our cars. £100 for being a couple of minutes late is frankly ridiculous. My view is the fines should be limited and regulated so that say being 10 minutes late in moving your car leads to a £25 fine for example, 20 minutes late a £50 fine etc. etc. but with a maximum amount. Also all car park management companies should be subject to an independent appeals process and their records should be inspected. For too long high street companies that we all do business with have been outsourcing their car parks and then saying its nothing to do with us when a problem occurs. Frankly that’s just not good enough and its treating customers poorly. The Liverpool Echo has the story on its web site – see link above. The article was brought to my attention but oddly and only very recently I actually saw another example of resurfacing around a parked car in Maghull’s Granville Avenue. 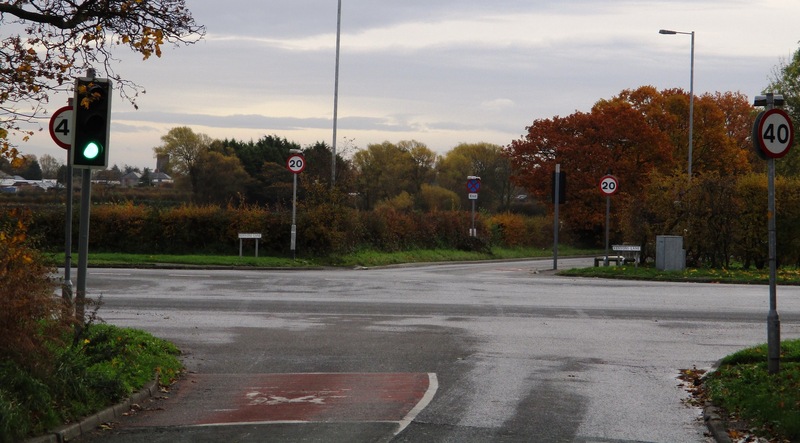 It’s a road I walk and cycle quite regularly and I saw the warning signs go up at either end of the road saying when the resurfacing was going to take place. The job was done but clearly one car owner did not know as the car was not moved and like the Albany Road Southport situation, in the Liverpool Echo article, the car was worked around by the tarmacadam contractors.